I have some exciting news to share. I am writing a book on how to develop a win/loss program, even if you only do it for one quarter. I had thought that you would only gain benefit if you conducted these interviews quarterly, but I found out that you can learn so much, even from 20-25 interviews. I hope to share this skill so small and mid-size companies can take advantage of what they can learn from more in-depth interviews with customers and prospects a couple of months after the sales event. 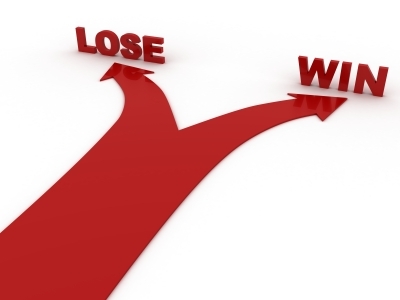 I have been doing win loss interviews and analysis since the late 1980s and I keep coming back to it, since my customers learn more from these interviews than any other tactical analytic technique, as long as they take corrective action from the findings. Why do you care about doing win/loss interviews? You learn about other marketing factors that affect customer perception: your trade show booth, industry write-ups, your advertising, etc. Given all these benefits, I don’t understand why more companies don’t conduct win loss interviews and the resulting analysis. It’s the most cost effective form of research I know of, and talk about real-time intelligence. You gain so much more insight from a conversation than from conducting on-line surveys. I wish companies did fewer on-line surveys, since most of them seem meaningless. How can I assess good customer service from a grocery store cashier or retail cashier, who just rings up my sale? You can gain great intelligence from talking to your customers, and win loss interviews are another marketing touch point if they are properly positioned as learning how you can improve your relationship with customers and prospects.